KATHERINE A. POWERS writes a regular literary column for The Sunday Boston Globe called, strangely enough, “A Reading Life.” She also reviews books and audio books for other publications. The eldest of J.F. Powers’s five children, she was born in Minnesota, and grew up there and in Ireland. (J.F. Powers is the author of such books as Wheat That Springeth Green and Morte D’Urban, among others.) “My parents were both writers and took it into their heads that it would be better to live in Ireland—but once they lived there, they decided maybe not, so they returned, but, no, that wasn’t right either, so back to Ireland. They did this four times—four round trips, sojourns of varying length, accumulating children over the years.” She broke off from this travelling show in 1969, becoming a barmaid (as the expression was at the time) in Dublin and London for a few years. “I returned to the U.S., went to university for a long time, got married—and divorced, had two excellent sons, worked as an archivist, and eventually became a person who makes a “living” writing about books—which is what I always wanted to do, but didn’t think it was possible. She lives in Cambridge, Massachusetts. I don’t watch television. I think that eats up chunks of most people’s lives. Do you think reading matters? Why is reading important to you? I can’t imagine a life without reading. I can’t imagine just hanging around with myself all day without a book to take off the edge or to get me out of this place or put me in communion with people who actually have something to say or who see the world in a different way from my tired-out view. But, while I’m on the subject, I’ll just say that reading, or rather the idea of reading, has become a fetish or commodity of sorts in the U.S. Reading here carries a baggage of worthiness that is a real turnoff for the hedonist. It seems to be going the way of walking, people do it for a cause, to raise money and/or show solidarity. It demonstrates high civic purpose, responsibility, and deep-down goodness and that’s why you do it, not because you really want to. I think a better approach to encouraging people to read would be to ban more books. Look at the way the Irish used to read when they had to smuggle in the good stuff from England: people getting off the boat hardly able to bend their legs for all the books and contraceptives squirrelled away about their persons. I am joking, of course, but only up to a point! Were there any books that had a significant impact on you when you were growing up? The first novels I read were Mark Twain’s Tom Sawyer and then Huckleberry Finn, and after that anarchy. The books I recall most vividly from my youth aside from the two mentioned are Charles Kingsley’s The Water Babies, Johanna Spyri’s Heidi (and its many sequels), Frances Hodgson Burnett’s The Secret Garden, and the novels of Alexandre Dumas, E. Nesbit and Captain Marryat. I also had a passion for baseball books, both novels and biographies, and I had a serious, though temporary, infatuation with science fiction. Who are some of your favourite contemporary authors? For many years, decades, actually, I read scarcely anything published after World War II. Then I came under the influence of my particular friend Bob who got me started on what was then the twentieth century. He began by introducing me to Cormac McCarthy’s Blood Meridian: Or The Evening Redness in the West—and I thought it was brilliant. Shortly after that I got the chance to review books and so the twentieth and twenty-first centuries opened their doors and I sort of caught up—though not entirely. My favourite living novelist, and in my view the greatest living American writer, is Charles Portis. People say, “Charles Portis?” I say, “Charles Portis wrote True Grit—you know, there was a movie with John Wayne ....” And so on. Now that True Grit is coming out in a new movie version, this time directed by Joel and Ethan Coen [and starring Jeff Bridges, Matt Damon, Josh Brolin and Hailee Steinfeld], to be released on Christmas Day this year, that conversational introduction will continue on those lines with up-to-date additions. 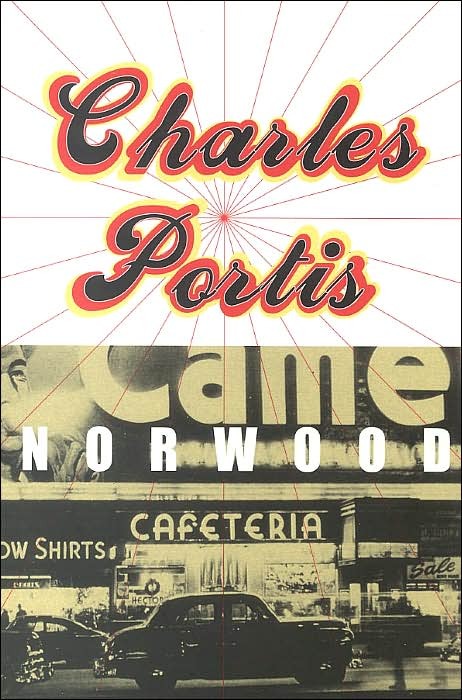 Portis also wrote The Dog of the South—his most popular novel in Portis cult circles, I’d say—and Norwood. Those last two are incredibly funny, perfect in their dry, bewildered humor. His most recent (of a total of five novels—we wait and wait for the sixth) is Gringos, published in 1991, also funny and pretty hard-hitting. But I think his real masterpiece is Masters of Atlantis, an extraordinary novel, a brief description of which will give exactly the wrong impression and make it seem as if it is “wacky.” It isn’t. It is poignant in its own very odd way and also a deadpan engagement with the American language, especially in its optimistic entrepreneurial character. I have a number of all-time favorite books, a top-ten list, which, whenever I begin to write it down, turns out to consist of at least 25 entries, then more, most of which I have read more than once, which goes to the next question. Yes, but not all of them. For instance, I can’t imagine rereading any of Ken Follett’s enormous sagas or most mysteries and crime thrillers, though I thoroughly enjoyed them the first time. But I have read most of Charles Dickens’s novels at least twice and some three times for his surreal vision, that ingenious animism, and for his sense of humor and love of plenty. In fact, I reread most of the books that I really, really like. Among them are V.S. 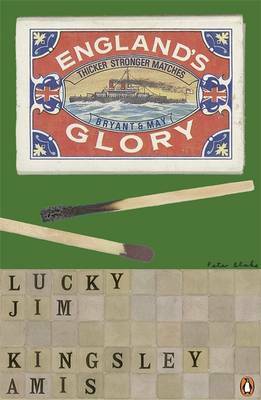 Naipaul’s A House for Mr Biswas, one of the greatest novels in English, and Kingsley Amis’s Lucky Jim, the funniest book I’ve ever read. Authors whose books I regularly reread are Anthony Trollope, Thomas Hardy, Jane Austen, George Eliot, George Gissing, Edith Wharton, Patrick O’Brian, Evelyn Waugh, J.R. Ackerley, J.G. Farrell, E.F. Benson, Barbara Pym, Dawn Powell, Flann O’Brien, P.G. Wodehouse, and Charles Portis. The last three are writers whose books I also go to when I am feeling low and can’t get started on writing one of my own petty reviews. I flip open one of their books and start reading anywhere and in five or ten minutes I am restored and bouncing. All three are very funny, all three are magicians of language, making, in their own completely different ways, sentences that are miracles of inventive whimsy. As a reader and fiction reviewer, what do you think are the essentials of good fiction? What distinguishes the great novels from the merely good? I go for irony and wit. By irony I don’t mean the sort of archness, campiness, or general “smirkingness” that is often called irony today, but something more subtle and deadly. I mean the sort of devastating irony of which Waugh was capable, as in A Handful of Dust when Tony’s and Brenda’s son, John Andrew, is killed and Brenda, hearing that “John” has been killed thinks for one terrible moment that it is John Beaver, her lover—but realising the mistake says, “Thank God!” and bursts into tears. Of relief, we understand. This is the sort of irony that exposes true indecency and self-involvement. Another example of what I’m talking about is Molly Keane’s Good Behavior (which was shortlisted for the 1981 Man Booker Prize for Fiction) which is told from the point of view of a person who doesn’t realise what she is revealing. The whole novel has a terrific ironic torque. I don’t know what the essentials of good fiction are. When I think of the novels I really like, I can think of only one thing that unites them: their authors proved trustworthy, that is, my suspension of disbelief was not betrayed. I think this is why I don’t care for postmodern fiction or metafiction or whatever it is called: the novels of Thomas Pynchon, for example. I just can’t be happy reading if the author is poking me in the ribs all the time. You review short-story collections, too. Why do you enjoy reading short stories? Who are some of your favourite short-story writers? I have what I guess is an old-fashioned taste in short stories (and everything else) and that is because I like a story as much as its writing—if you see what I say: James Joyce, Sean O’Faolain, Frank O’Connor. Peter Taylor, Flannery O’Connor, William Trevor, Alice Munro, my father, J.F. Powers—these writers carve perfect gems out of gossip or an incident fleetingly observed, its circumstances extrapolated. I don’t like “interiors” or sacramental rites. Do you read translated foreign fiction or what is popularly called literature in translation? Name me a couple of titles you have enjoyed in the past. I do, but most have been nineteenth-century Russian and French novels—the usual suspects—and some truly great twentieth-century ones: Halldor Laxness’s Independent People (translated from the Icelandic by J.A. Thompson), Sigrid Undset’s Kristin Lavransdatter (translated from the Norwegian by Tiina Nunnally), and Hans Fallada’s Every Man Dies Alone (translated from the German by Michael Hofmann, titled Alone in Berlin in the U.K.) and Wolf Among Wolves (translated from the German by Philip Owens). As for the present century: I recently read Leif G.W. Persson’s Between Summer’s Longing and Winter’s End (translated from the Swedish by Paul Norlen), a splendid crime novel based on the assassination of Olof Palme, and Gerbrand Bakker’s The Twin (translated from the Dutch by David Colmer), the 2010 International IMPAC Dublin Literary Award-winning novel, another fine book. The absolutely best novel of any sort I read all year was in fact translated from the Swedish—though in the 1950s and published first in two parts in the 1940s, now republished by New York Review Books—Frans G. Bengtsson’s The Long Ships (translated by Michael Meyer). It is a simply brilliant novel about the Vikings at the turn of the millennium, late 900s to 1000s. I know no Swedish, but it seems to me that this is one of the very great translations, so subtle, so witty. As for the literature of rest of the enormous world: I am lamentably ignorant—and Asia is, alas, a closed book to me. (You know my tastes now, so put me on it.) And in some other cases, I don’t seem to be on the right wavelength. 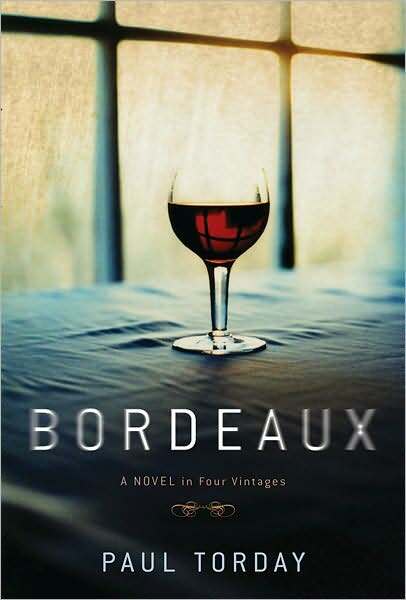 I haven’t read a modern French novel that didn’t make me recoil: Muriel Barbery’s The Elegance of the Hedgehog, for instance, practically made me throw up. Yes, very much: history and biography chiefly. Perhaps the greatest history I’ve ever read is John M. Barry’s Rising Tide: The Great Mississippi Flood of 1927 and How It Changed America. I am also reliably smitten by Ben Macintyre’s histories and biographies, his last being Operation Mincemeat: How a Dead Man and a Bizarre Plan Fooled the Nazis and Assured an Allied Victory. As a reader, how much and to what extent are you influenced by the cover of the book? I react to the look of covers, with pleasure, dismay and so on—but wouldn’t choose or reject a book based on that. On the other hand, certain descriptions written on the cover—“darkly comic,” for instance—do influence me, as do blurbs from writers I admire (even though I know there may be reasons aside from the quality of the book that produced the blurb). What are you reading at the moment? Tell me something about it. I am reading any number of things, but have just finished Rose Tremain’s Trespass, the novel of hers I have enjoyed most. I won’t say more so I don’t squander my feelings of pleasure before writing the review. I am also in the middle of listening to Ian Frazier reading his own Travels in Siberia. He’s not a great reader, at times seeming to be bored by the text, but then why wouldn’t he be? He’s probably been over it twenty times. I, on the other hand, who haven’t even read the excerpt in The New Yorker, find it informative in a miscellaneous, engaging way, wonderfully written, too, and so entertaining I have found myself doing things like cleaning the stove and washing windows to justify continued listening. For better or worse, we are now in the age of ebooks. What are your thoughts on the future of books, particularly on ebooks and e-readers? Do you think ebooks will replace physical books one day? Have you read one? If not, do you see yourself reading one sometime in the future? I’m not able to become interested in the future. It just doesn’t seem real to me except that it’s coming and I’ll be there for a tiny bit of it. I gather that ebooks are having a deleterious effect on real bookstores and that seems a very great pity and a good argument against them—not that it will make any difference. I don’t have an e-reader, though I suppose I shall get one someday as galleys may be available only on them—and I can see that as a good thing, not so much waste. But aside from that, I certainly don’t see ebooks replacing real ones in my own life. I can’t help thinking that the machines will have all the problems that the rest of my machines have: technical difficulties and foul-ups of organisation. Besides that, the whole operation is dependent on the world not going smash. Reading by ebook takes electricity and goodwill on the part of unseen powers—two things reading has never counted on before. And also—whew!—what about sure-to-come incompatibilities, dying batteries, water and heat damage, and evil robbers grabbing one’s e-reader? It seems a lot of bother and worry for so much convenience. As a reader and professional book reviewer, you review both literary and popular fiction. Readers often say how literary novels as compared to popular fiction lack plots. Do you think literary novelists should put more emphasis on plot and less on stylistics? Why do you think there’s a perceived divide between popular and literary fiction? That last is a very good question and I wish someone could answer it in a way that I could understand. I am put off by the expression “literary fiction” and do, in fact, associate it with “boring.” I don’t think people who read for pleasure think in those terms: John Updike’s Rabbit Angstrom novels, Gore Vidal’s Narratives of Empire sequence? It’s laughable to call those hugely enjoyable and popular books by the puny term “literary fiction,” and yet I suppose they are since they’re not Mini Shopaholic. When they were written there was no such expression as “literary fiction.” But now there is—and not only that, but there are books that seem purposely “literary fiction,” books from the academy, the MFA phalanx, that aren’t going to waste their time trying to entertain people. The expression strikes me as one that actually diminishes literature, that serves it as poorly as “analytic philosophy” served philosophy—it sets up a field that is judged only on its own terms. In the one it is philosophy for philosophers; in the other writing for writers. In both instances there is a great deal more writing (and collegiality) than reading going on. Yes, I do think it is a moral act—but it shouldn’t be a “moralising” one. I think the great writers, even if they are or were real rats, convey a sense of what life is all about, its tragedy and mystery and consequence. I think just glimpsing a bit of another person’s vision of reality, especially an artist’s, is a balm—not always a sweet one, perhaps an astringent one. The great writers show that there are consequences to fooling oneself—which is exactly the opposite of what the language of marketing does, the constant deluge of lies and cheesy seduction in which we are drenched every day. I think creative writing courses are, in general, a bad thing. In particular, I think MFA programs in creative writing have ruined more lives than they have produced real writers. They set up the expectation that becoming a published writer of fiction (and making a living with it) is like becoming a lawyer or dentist, a matter of completing a course of study and training—with the added allure of not becoming a lawyer or dentist, but rather something finer, an artist. But, of course, it isn’t the same. Becoming a writer is more like becoming a professional baseball player or opera singer. You must learn the elements of the craft, but you also have to have a gift that is granted to few. So, there you are with your MFA—or, worse, DFA—having spent all this money and time, and what do you have to show for it? Loan payments and confounded hopes. I think my science fiction days are over, though perhaps not my fantasy ones. Every now and again something like Kathyrn Lasky’s excellent Guardians of Ga’hoole series—for children though it may be—crops up and I am its slave. Fantasy aside, I am drawn to novels set in the past, nineteenth century and earlier, which is to say I will definitely give them a shot before tossing them away—where I wouldn’t bother to read even the first page of a book described as being about some college friends who move on to diverse lives and meet years later after the funeral of somebody or other, etc. In other words, I read lots and lots of historical novels and will take this opportunity to say this: second only to Patrick O’Brian’s first ten or so Aubrey-Maturin novels, Bernard Cornwell’s The Warlord Chronicle trilogy about King Arthur—The Winter King, Enemy of God, and Excalibur—are the absolute best there is. I have read the series twice and I can feel the urge building again! Lovely interview, and enjoyed especially the question about the author's moral role. You are hysterically funny! I also loved your comment on the author's moral role. Much of your advice to readers could serve in its way as guide to the good life. Thank you for the wit and references.